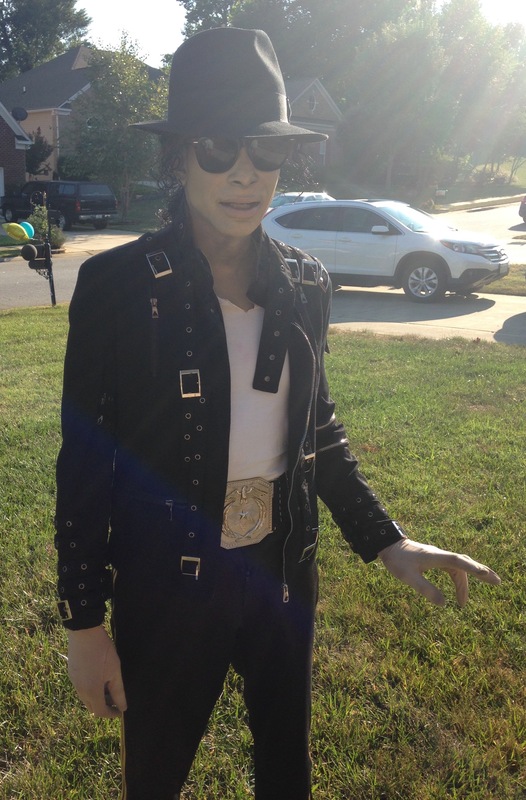 I'm a Michael Jackson Impersonator who performs to the music of the Late King of Pop. 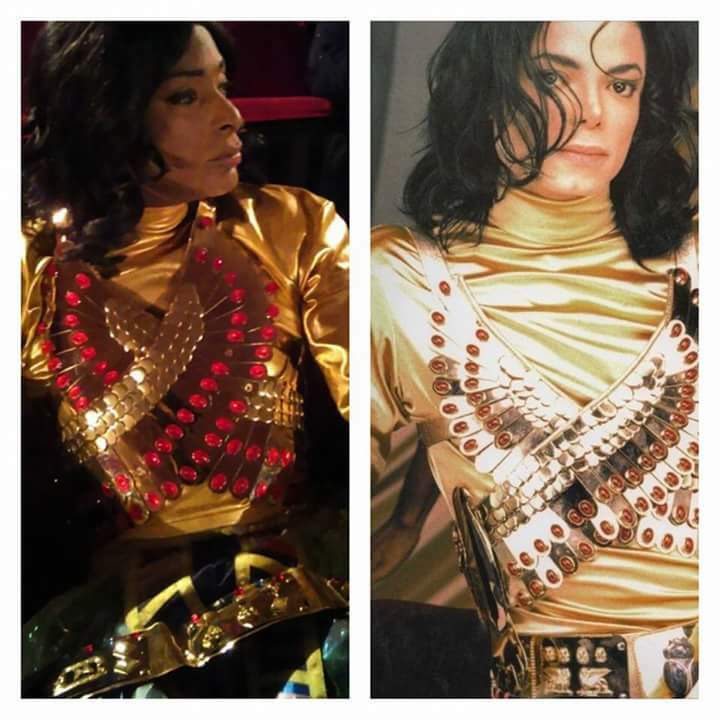 I perform with corresponding costumes. Performance range are from 30 minutes to an hour at customers' request. 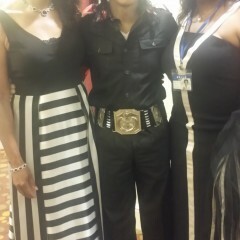 After each performances, I will engage with the guest for photos. Let's make your next event a magical moment. Loved his performance all the way.. I would book him over and over. Thank you so much! I truly enjoyed myself. Thank you for having me. The Time of Our Lives!!!! 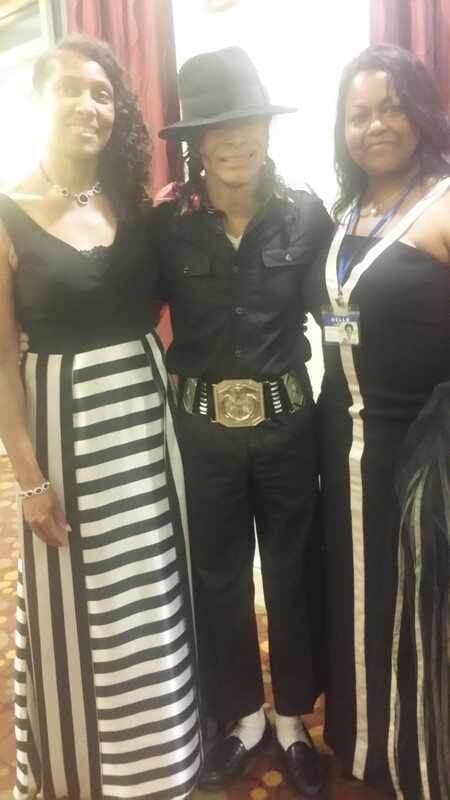 I never hired an impersonator before, I did'nt know what to expect, I/we were totally blown away!!! My guest had no idea what I had up my sleeves, so when I opened the door and he ran out onto the stage...everyone went crazy. I never seen so many cell phones up in the air capturing all the action. I Love Him!!!! I will have him back again at my next party which I am planning now. 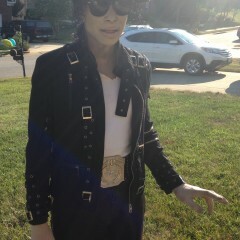 Just so happen, it is the 9th anniversary of Michael Jackson death and I did not realize that. Some of my friends were crying, because he looked and moved just like the real thing and these are grown men with tears in there eyes. 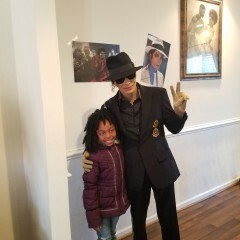 Thank You so much MJ Footworkz, we love you. P.S My mother said to tell you she really enjoyed you. Thank you sooooo much! I truly enjoyed myself. It was such an honor. Excellent! 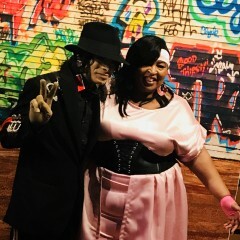 MJ Footworkz was amazing! 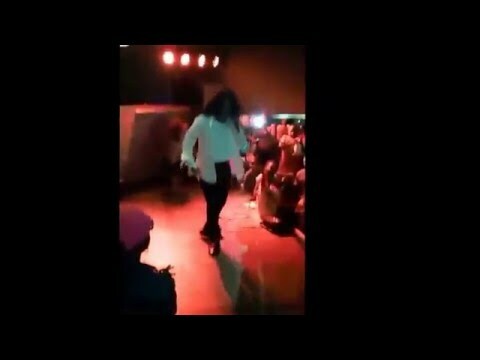 Great dancer! 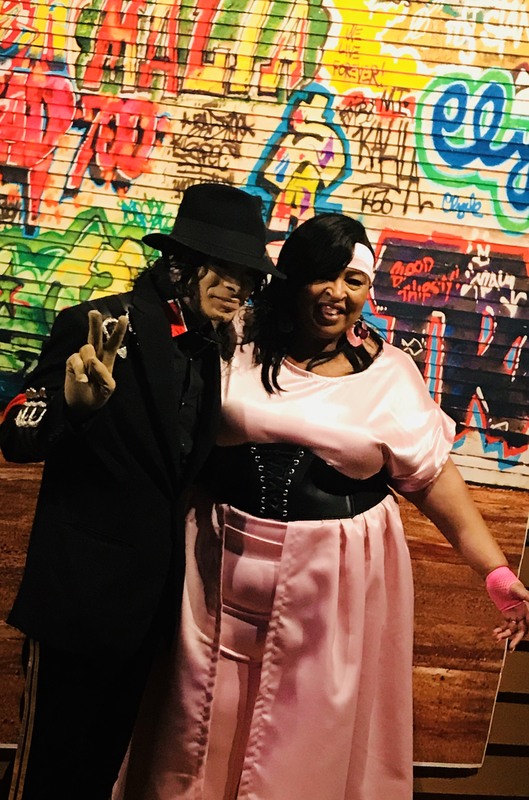 MJ Footworkz was amazing and stole the show at our Dental Convention themed 80s party. He was willing to mingle with the crowd, pose for photos, and dance at demand! The crowd loved it! 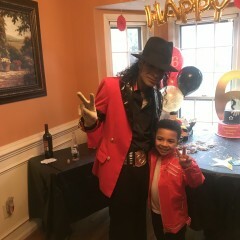 Great job MJ. He was very polite and sent me a card thanking me for allowing him to be a part of our meeting. 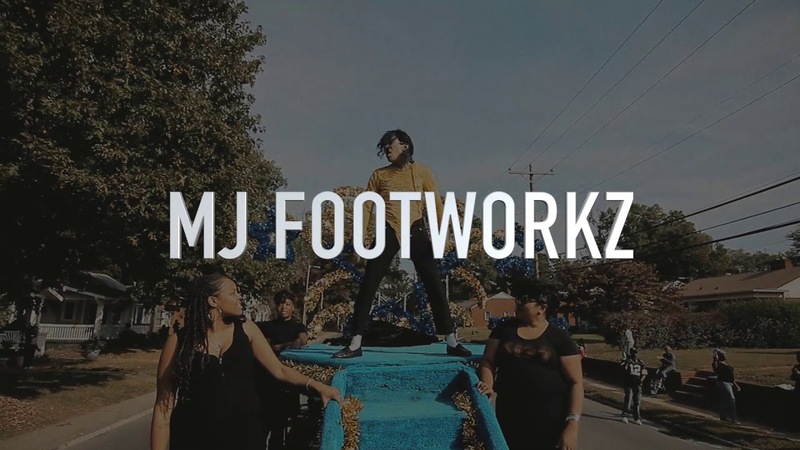 I highly recommend MJ Footworkz. Thank you so much for having me. I truly enjoyed myself. Only Performed 15 Minutes! Not Acceptable For Price!!! His performance was great, but the time performed was less than expected for the price paid! Only performed about 15 minutes. I thought it should have been at least 45 minutes to an hour. I would like to begin by apologizing for the misunderstanding. When we spoke, I thought we were on the same page as far as the second email, which was in fact 45 minutes. I performed to what was played assuming thats what you desired. I arrived at 6:30 p.m. and left at 8:10 p.m. I also traveled 2 and 1/2 hours to the event. I engaged your family and guest to aid in timing. We spoke and about it in the moment, and I was present for enough time to do whatever you wished. It was phenomenal! The birthday boy was speechless. They sang and dance. 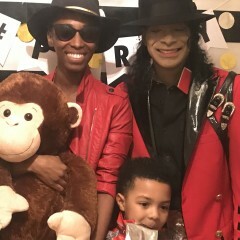 I couldn’t have asked for a more perfect surprise for my nephew. Thank you so much for having me. I had a great time as well. Happy Birthday, Oliver. to take a picture with him! MJ accommodated every last person. What a great night!!! Thank you so much! Looking forward to working with you again. Thank you so much for having me and the crew to make it a magical moment. We appreciate the fun and the love. 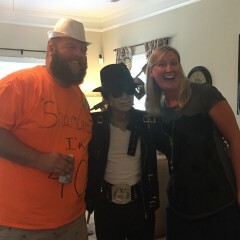 I surprised everyone at the reunions with MJ. He did an excellent job, everyone loved him! They praise me as the president of getting this for reuniones together this year. Love love love. 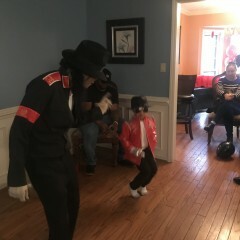 We really enjoyed the performance and the way he interacted with the residents. Very well please with his professional service and he always kept in contact with any changes or new ideas he come u with. 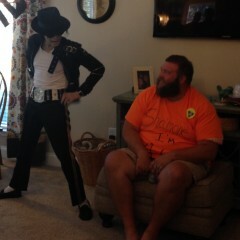 My son was over excited to see him and for him to allow him to dance was a great rendition. 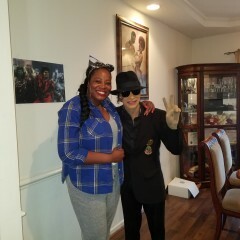 I will love to have him come back and do it again..Getting MJ Footworkz you will not be disappointed!!! Thank you so much for the love, and I am definitely looking forward to seeing you all again. Happy Birthday, Rajon! 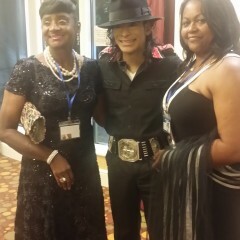 MJ Footworkz was phenomenal!! 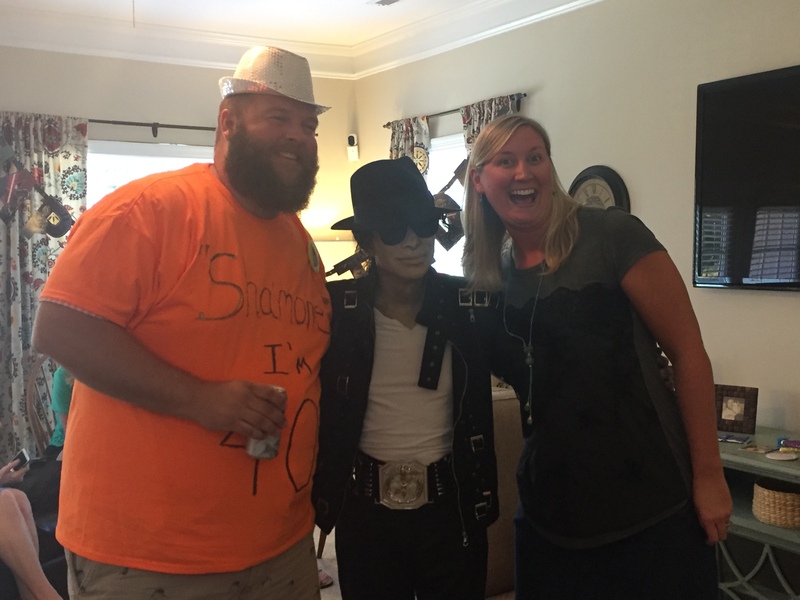 Everton remarked how he made the bridal shower a truly spectacular and unique event!!! Thank you for the love and fun! Congratulations and Be Blessed! 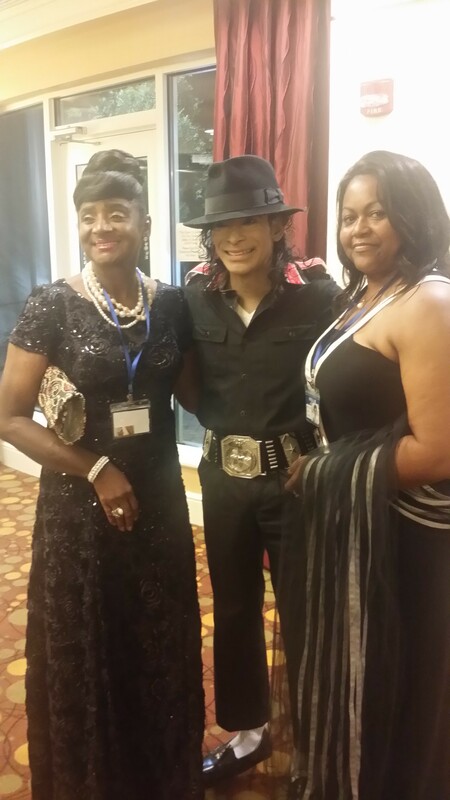 The event was a 50th Birthday Celebration. 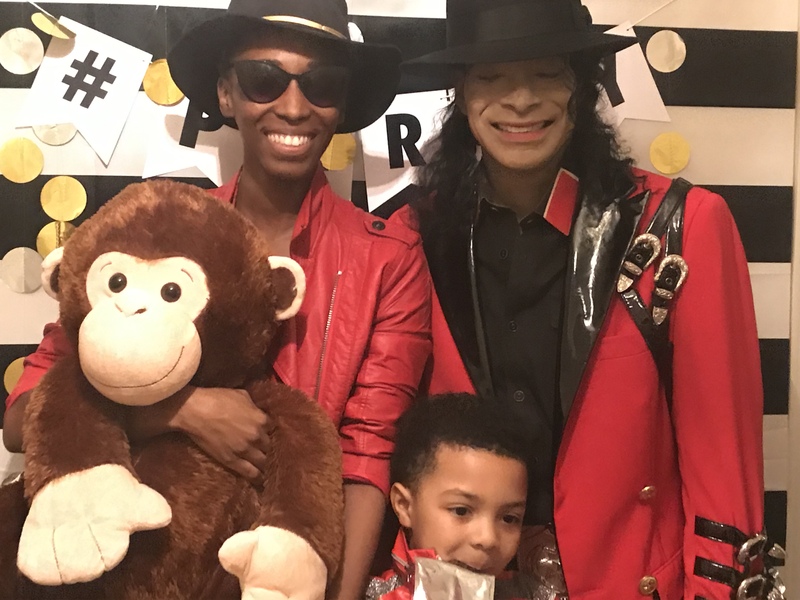 The theme was Remember the Time-A 1980's Costume Party. 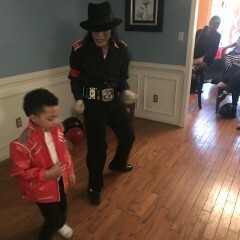 MJ Footworkz was simply AWESOME. Mr. Footworkz is a PROFESSIONAL. 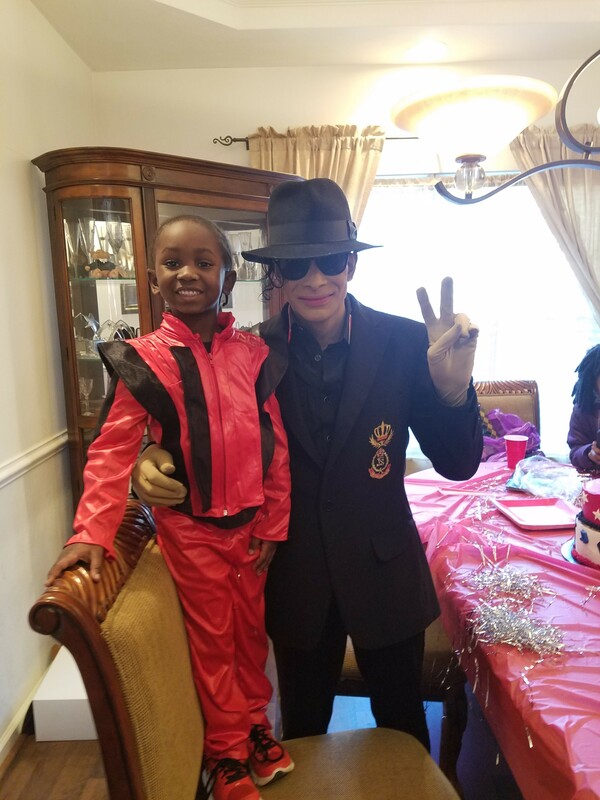 He maintained contact with me throughout the weeks leading up to my event; he inquired of me my favorite Michael Jackson songs and gave great input. He arrived early and proceeded to FASCINATE us beyond anything we could have imagined! Folk are still talking about his performance! 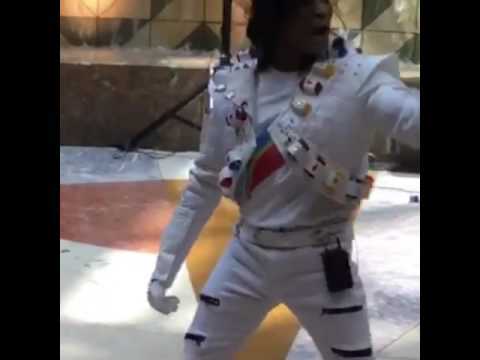 If you are looking to hire an impeccable, professional Michael Jackson Impersonator-YOU must hire MJ Footworkz. YOU will be WOWED! Thank you so much, Melissa! The energy in the building was phenomenal. I enjoyed myself . From the bottom of my heart, I humbly thank you all. You guys were amazing and your energy was outstanding. I love you all. 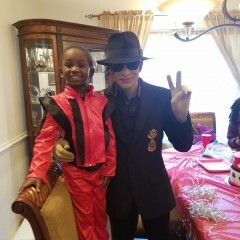 MJ did a fabulous job! Called day of to check time and address. Was professional and courteous. Dancing was on point. Hair and makeup so realistic! I totally recommend him for your next event! Had a blast! Thank you so much for having me to make it a magical moment. Happy Birthday, Ryan! 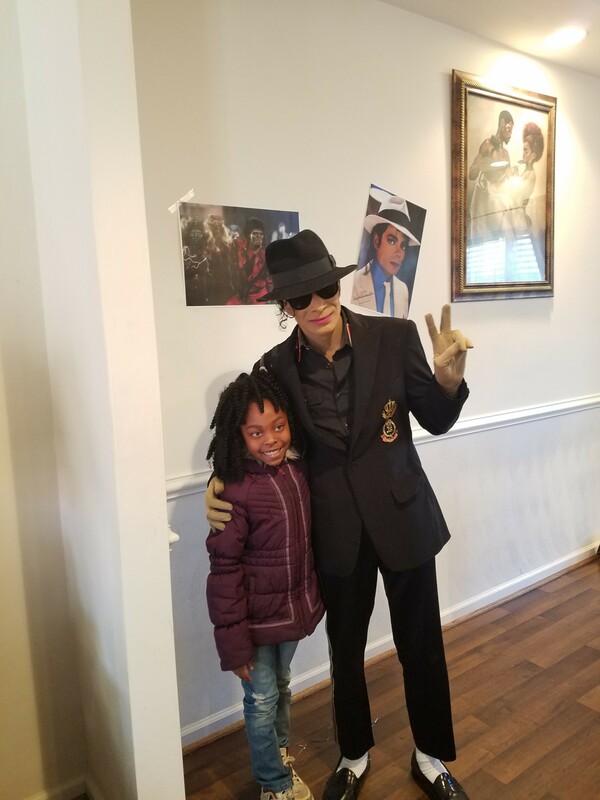 People to have a great time and experience the magical moment of Michael Jackson... Also a full show with backup dancers depending on the event/ location. 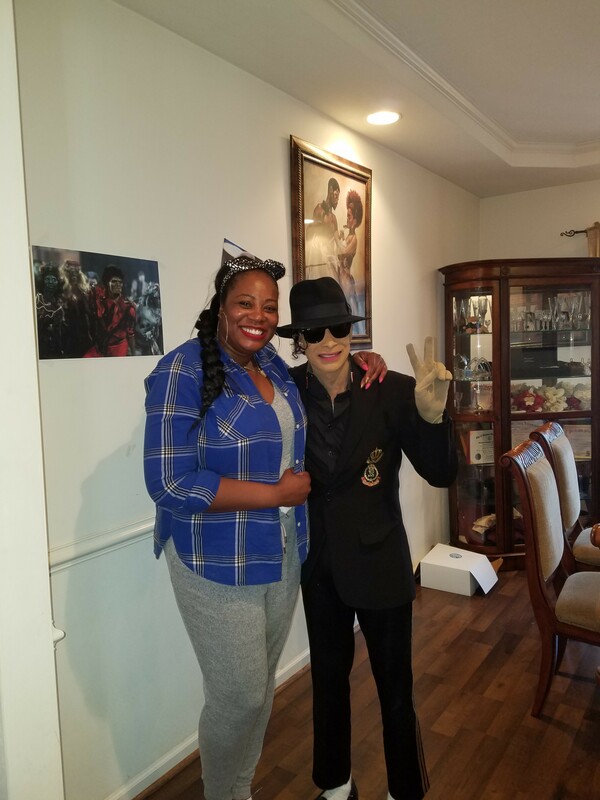 At the age of 14, Kevin attended Mount Tabor High School where he continued his love for dance as a “Spartan”, the school Mascot. For three years (1987 – 1991), he dazzled the crowd with his fancy footwork, demanding the audience attention as he does what came natural – DANCE! 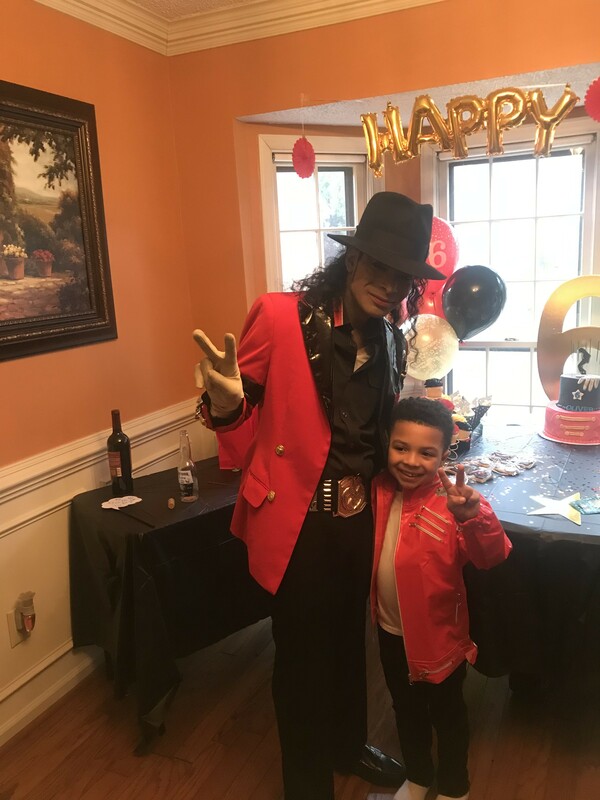 For the next 26 years, Kevin has been busy perfecting his craft and learning various dance styles like African, Jazz, Salsa and Tap. 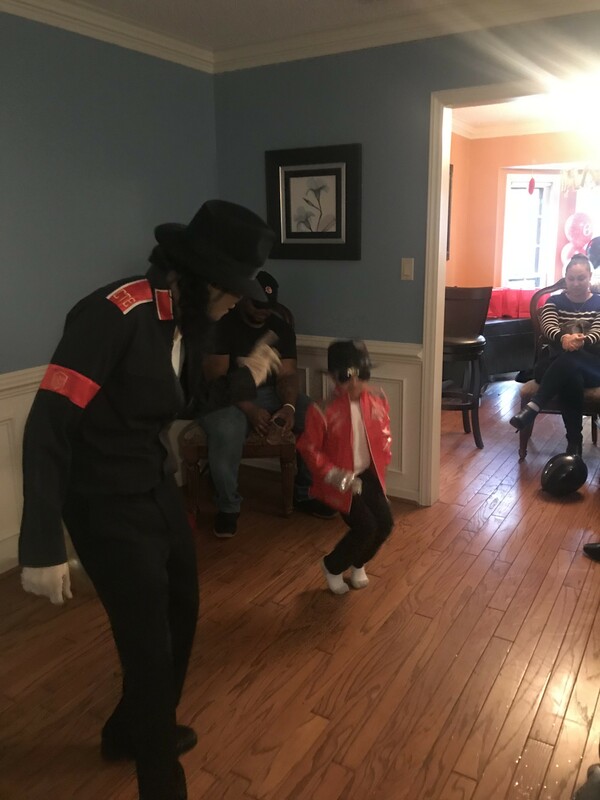 His own style of dance is influenced and inspired by Boogaloo Shrimp, Chris Brown, Channing Tatum, Gregory Hines, James Brown, Janet Jackson, Levelle Smith Jr, Michael Jackson, Pavan Thimmiah, Shabba Doo, and Usher. He has danced for the stars from the East Coast to the West Coast. He has opened up for Busta Brown Summer Festival, CIAA Half-Time (Year), Doug E. Fresh, Kid n’PlayayKi Ki Sheppard (Tribute to Roger Troutman), N-Tyce, Outkast and Wu-Tang Clan. 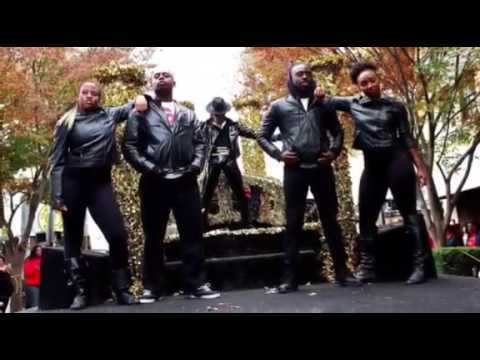 He has auditioned for America’s Got Talent (2014), Beyonce World Tour (2006), 102 Jamz Crew and Mr. Bill Productions. He has won various dance titles and accolades for Best Dance Group – Dem Carolina Boys & 85 South Boys in 2006, 2010 and 2014. In 2014, Kevin became the Founder and Chief Executive Officer (CEO) of Footworkz, LLC. Kevin has positioned himself as one of the most in demand performers and choreographers in North Carolina. He is extremely talented both as a dancer and choreographer. 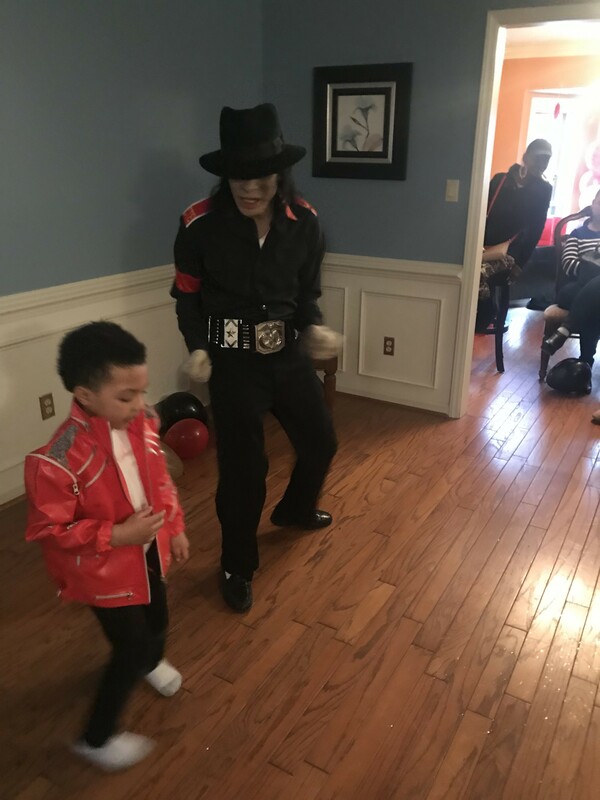 He has a passion for dance and wants to bring that same energy to others. Have the sound or D. J. prepared to play the music. I will have my mp3 format and headset microphone ready. James Brown, Michael Jackson, Usher, Chris Brown, Janet Jackson, M.C. Hammer, Sammy Davis, Jr.